Well, it had to happen! 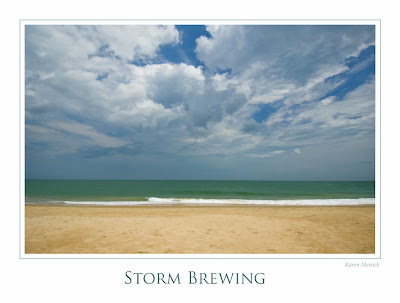 After a beautiful but hot morning, and more home owner chores, I scrubbed the outside shower and hung the shower curtain, I headed out to the beach...as storm clouds were gathering. I was surprised at how few people were on the beach as the morning was beautiful. 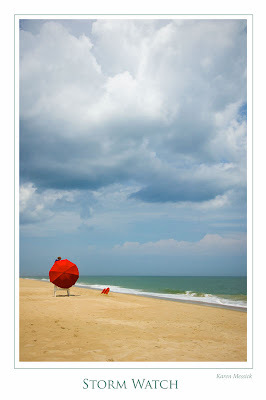 I noticed the life guards all with their umbrellas pointed south to block the blowing sand and breeze, so I made a few shots. The seas were relatively calm and beautifully colored by the light. As I looked south I could see the rain sheet and decided to head back, but I didn't make it and got soaked on the way. Good thing I had a back pack for my camera. Its been a while since I walked in the rain, wet feet and all, but the smell of a spring storm was wonderful so I didn't mind! Just cut my picture taking short!for now. 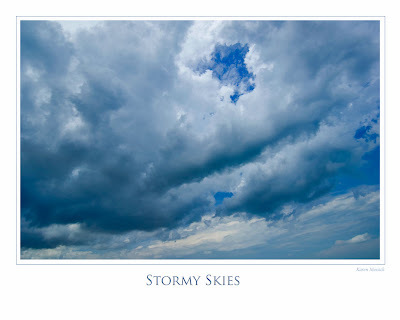 Maybe there will be some nice evening skies after the storm passes and more tide pools at high tide for reflections. I am still using that wide angle as my photo exercise this weekend! 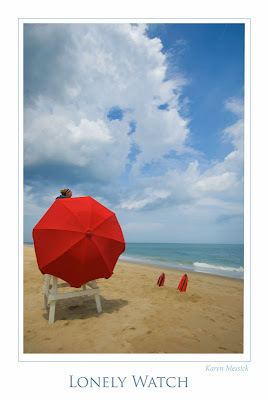 These shots will be part of my beach collection I'll print for the Rehobeth Art League Gallery. Maybe I'll sell some?